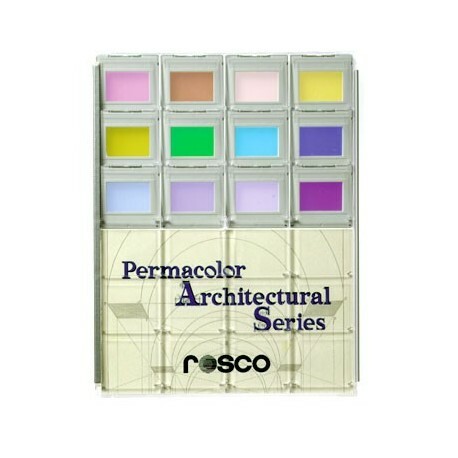 The Permacolor Architectural Series Sample Kit includes 12 colors, 6 color correction filters, White Diffusion and IR/UV filter. Dichroic filters are durable glass color filters that transmit only certain wavelengths of light, reflecting the rest of the spectrum, rather than absorbing it. Since virtually no energy is absorbed by the filter, light transmission is significantly higher than traditional gels and will never burn out or fade. 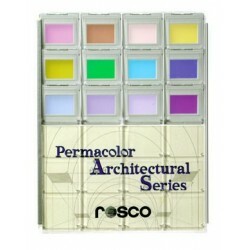 Rosco Permacolor filters are made with the highest quality coatings, designed not to fade or shift color. In addition, Rosco's sophisticated manufacturing process allows for precise color consistency batch to batch to a degree that is unprecedented in other dichroic coatings. 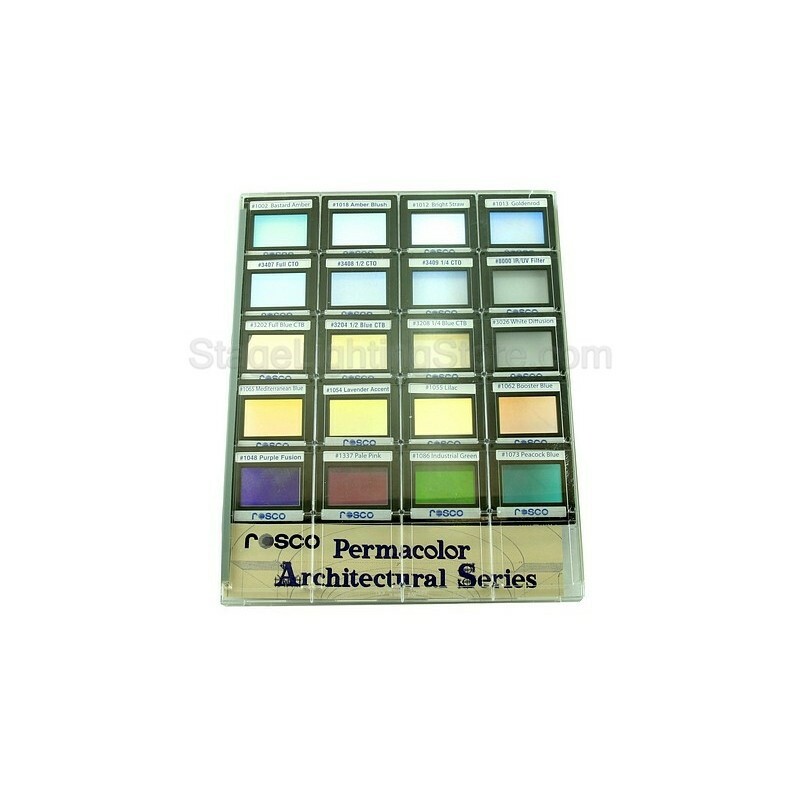 Permacolor filters are manufactured in five standard sizes on durable borafloat glass 1.75mm (.069") thick. 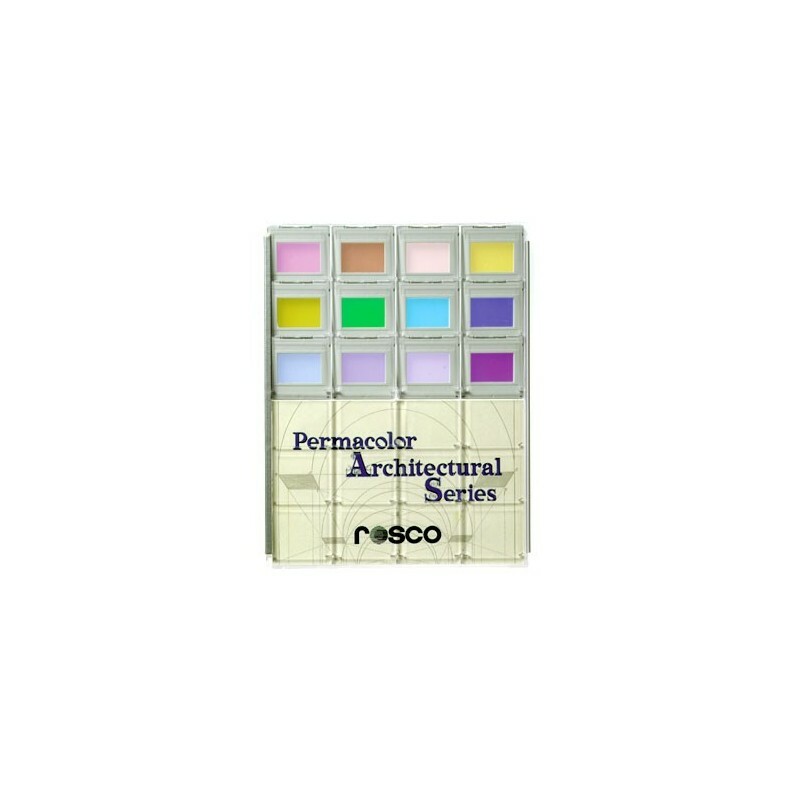 Durable enough to withstand the extreme temperatures found in even the hottest luminaires, the Permacolor palette of standard colors offers designers a long life filter alternative to many of the most popular Rosco gel colors. Choose from among twenty four saturated colors colors that won't fade or burn over time. This series of available colors has been designed with the assistance of architectural lighting designers around the world and is perfect for both interior and exterior architectural lighting projects. Subtle, pale color tints are perfect for accent lighting and offer a unique alternative to the typical bright saturated colors available from other dichroic suppliers. Cinedichro CTO and CTB dichroic filters have been engineered to provide true, accurate color correction, precisely matching industry standards for color balancing daylight and tungsten light sources. Relying on the filters ability to withstand extremely high temperatures, Cinedichro filters can be used on most motion pictures lighting fixtures - even 6K pars. Like all Rosco Permacolor filter, Cinedichro are made to a maximum diameter 13.5". 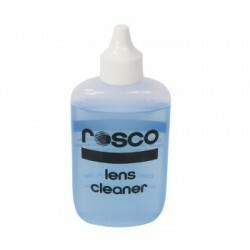 Please contact Rosco for more information on using Cinedichro filters with specific fixtures. This image of a Permacolor filter, Cinedichro CTO shows how the dichroic filter passes the amber portion of the spectrum and reflects its complementary blue portions. If your project requires a specific color, or size, please call the Stage Lighting Store and we'll be hapy to assist both by answering your questions and by providing a quote. Along with Rosco we will match the sample color you provide, and your custom piece can be cut in any size that's less than 13.5". 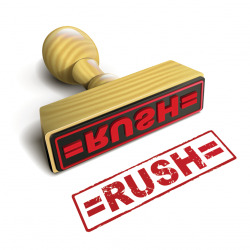 A custom design charge and minimum quantity requirements may apply. Please contact the Stage Lighting Store for more information.